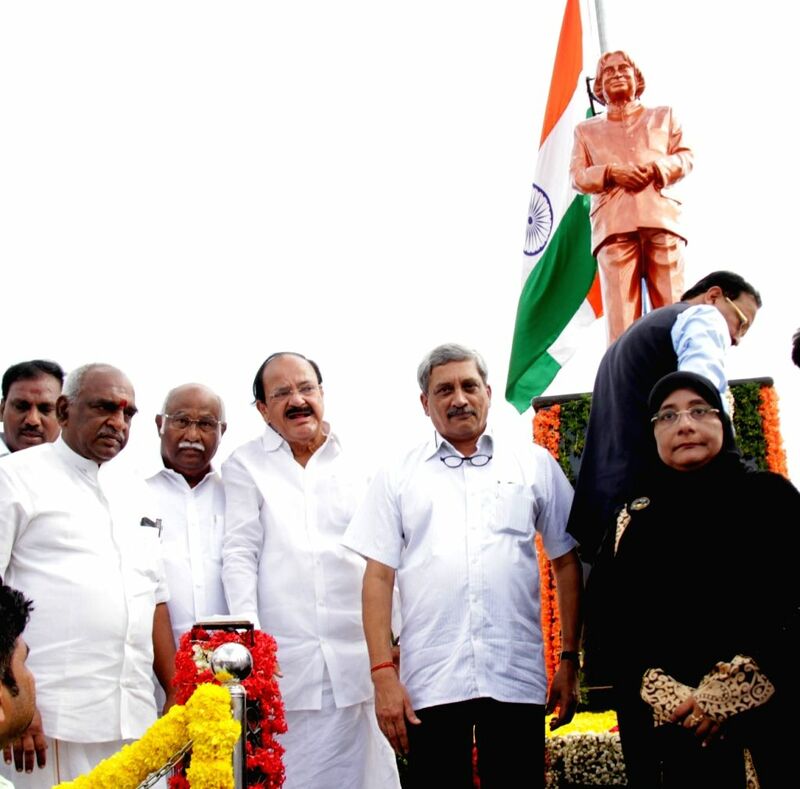 Rameswaram: The Union Minister for Urban Development, Housing & Urban Poverty Alleviation and Information & Broadcasting M. Venkaiah Naidu, the Union Minister for Defence Manohar Parrikar and the Minister of State for Road Transport & Highways and Shipping, P. Radhakrishnan after unveiling the statue of Dr. A.P.J. Abdul Kalam, on the occasion of his first death anniversary, at Rameswaram on July 27, 2016. The Labour Minister of Tamil Nadu, Dr. Nilofer Kafeel is also seen.